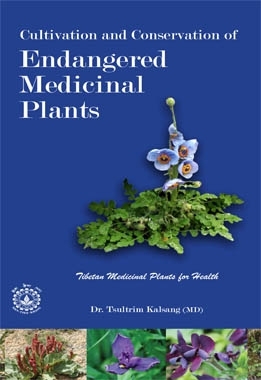 This book, authored by Dr Tsultrim Kalsang (MD) Deputy Head of Tibetan Medical & Astrological Institute’s Department of Materia Medica and published by Men-Tsee-Khang 2016 in English version. The book contains 325 Tibetan medicinal plants pictured illustration, including herbs, shrubs and trees. These plants thrive in geopolitical zones: Tibet, India and Nepal and particularly Trans-Himalayan belts, and tropical and sub-tropical region of West and East Ghats of India. The book also provides the description of each medicinal plant, information regarding about propagation and management of plants including: topography of soil; mode of sprouting; right time for growing; processing methods; propagated by seeds and vegetative reproduction methods. And also suggested format for experimental planting strategies including: initial format deals with nursery work; second stage format the plant should be transplant in the fields on flat areas, rock garden and terrace areas Description of their proper collection periods, drying procedures are also mentioned. The book also contains each plant’s taste, potency and uses are presented also with family name, botanical, scientific family name, English names, and Hindi names as well as Tibetan name and Tibetan phonetic. This book on endangered medicinal plant cultivation is supposed to be an experimental, trial field guide for the propagation of these species. It is intended for researchers, ethno-botanists, environmentalists, herbalists, horticulturists, and practitioners who are interested in creating medicinal plant gardens both in rural and urban areas. 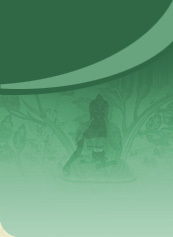 A list of endangered medicinal plants based on guidelines given by the WWF (World Wide Fund for Nature, 2000) and TRAFFIC India (Trade Records Analysis of Flora and Fauna in Commerce, 2000), with supplementary criteria drawn from Tibetan medicine. The cultivation of Endangered Medicinal plants is the first of its kind that is accordance with both traditional knowledge and modern methods of cultivation and mainly based on traditional knowledge, the author’s personal experience and observations and practical experiments performed in the field.